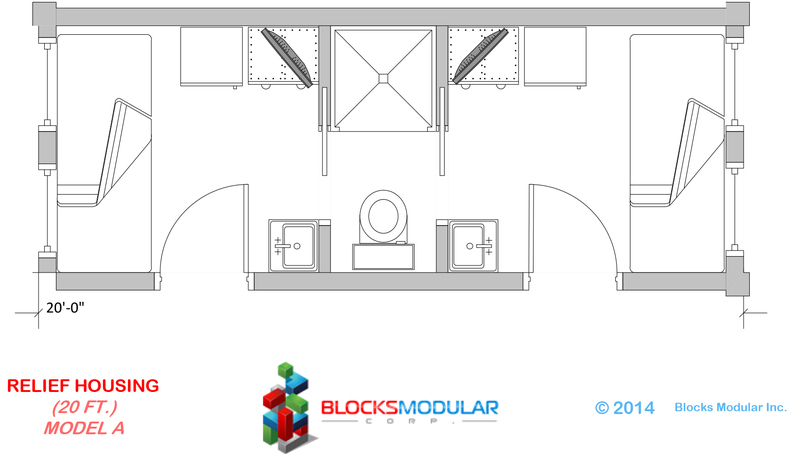 Be it for an NGO, non-profit or government representative, Blocks Modular’s temporary relief housing is easy to make and VERY quick to deploy! This temporary relief housing module allows for up to 4 individuals to sleep, be warm and be protected from the elements. Made from 20ft shipping containers, these units can be made and delivered at a moments notice.